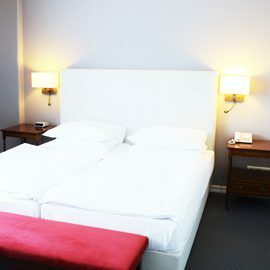 Staying at the Hotel Alster-Hof Hamburg, you are at the centre of the action, instead of being a mere spectator. The business traveller definitely gets to see a bit more than just exhibition halls and conference rooms. Visitors will see much more than what they originally planned to see. Whether it´s the Cherry Blossom Festival or the Port Birthday, whether you are a culinarian or culture lover, Alster browser, shopper or sightseeing fan - Hamburg, and specifically the walking routes around the Alster-Hof hotel, offers something to suit any taste. We can let you know which events you simply cannot miss during your stay - talk to us! Why not simply stay an additional night or take advantage of a special offer? Let our current offers inspire you.